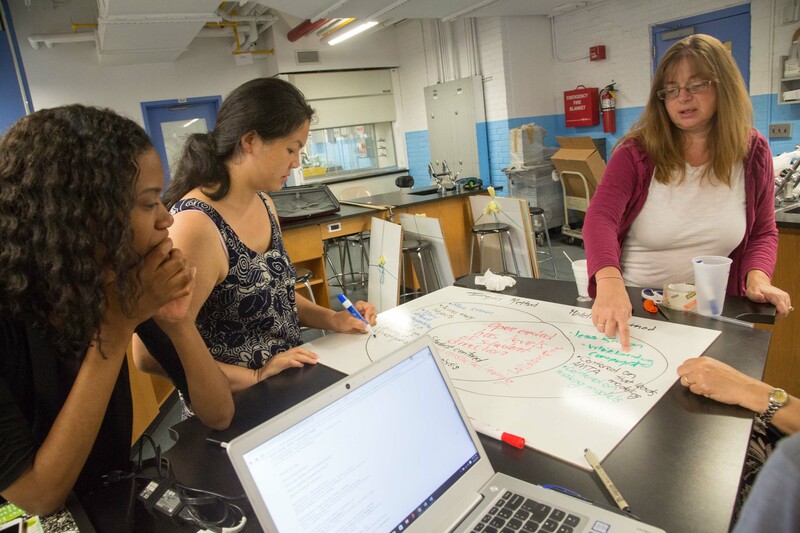 STEMteachersNYC is a teacher-led not for profit organization dedicated to supporting educators of various STEM fields through professional learning opportunities. Our network of STEM teachers (1,000+) continues to grow as we further our engagement with school communities and partners across the country. 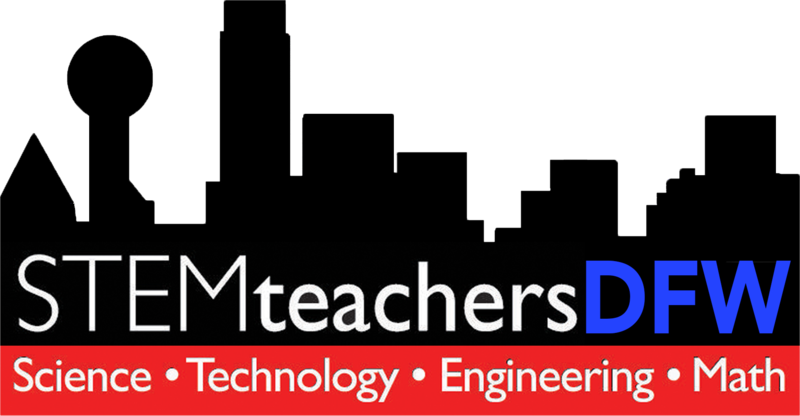 STEMteachersNYC was founded in 2011 by a group of physics teachers as a local affiliate of the American Modeling Teachers Association. Under the leadership of Dr. Fernand Brunschwig, it has grown from an initial group of 25 to more than 1,000 teachers. Program offerings have grown from 8 weekend workshops and a single summer workshop, to 21 weekend workshops and nearly a dozen simultaneous summer workshops. The impact of these workshops is significant. Since 2012, we have presented over 160 workshops that have attracted over 3500 teachers to intensive professional development experiences. 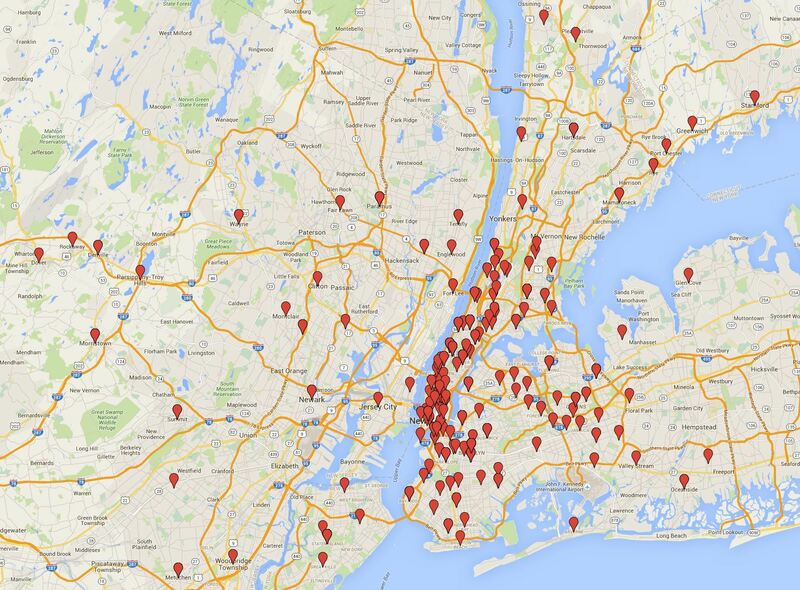 Our long-term goal is to reach 25% of the region’s 21,000 STEM teachers and impact over 250,000 students. Our workshops are the foundation of a growing professional learning community of more than 1,000 teachers that also operates online. Teachers get to know each other initially face-to-face, establishing the trust and confidence that underlies all genuine colleague and mentoring relationships, and building the foundation for a willingness to ask for help and to give it when asked. 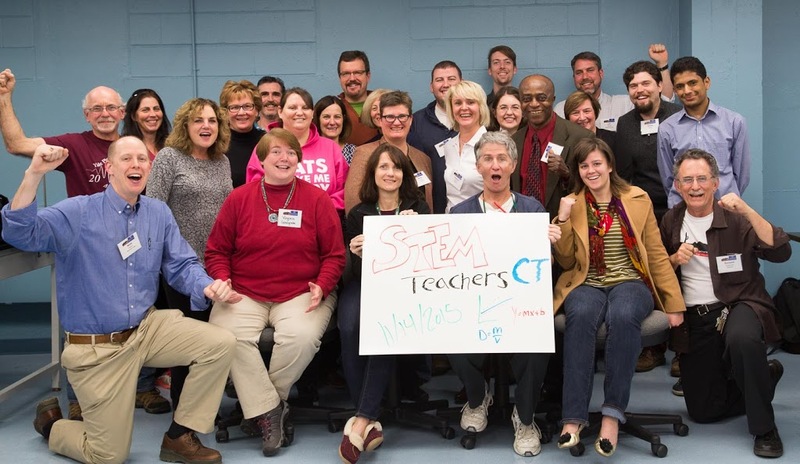 The extent to which STEM teachers actively participate in our online community in supporting and communicating with colleagues. Since the summer of 2015 we've organized Leadership Development Workshops in collaboration with American Modeling Teachers Association for 27 hand-picked master-teachers, each year, from across the country to address the national shortage of qualified Modeling Workshop leaders. In 2015 we started offering professional development opportunities in middle school science to address the needs of teachers who teach this instrumental age group. Source: Hake, R. (1998). Interactive-engagement versus traditional methods: A six-thousand-student survey of mechanics test data for introductory physics courses. American Journal of Physics, 66(1), 64–74. Source: Hestenes, D., Megowan-Romanowicz, C., Osborn Popp, S., Jackson, J., & Culbertson, R. J. (2011). 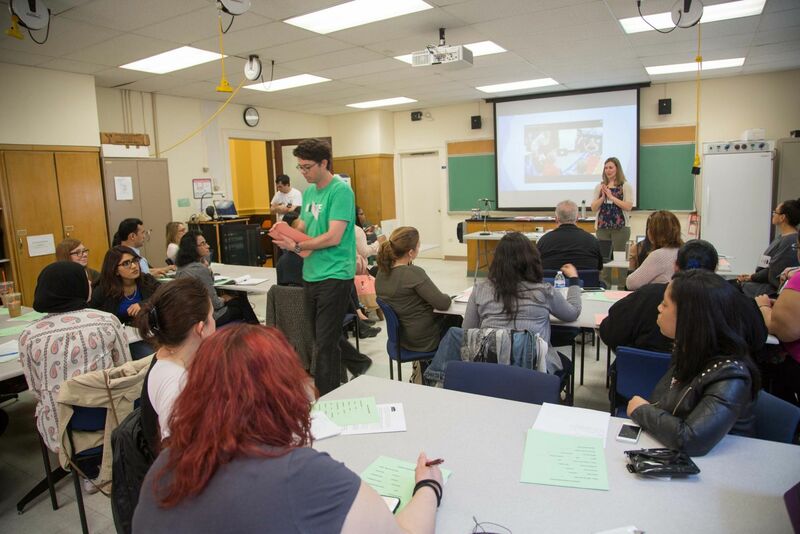 A graduate program for high school physics and physical science teachers. American Journal of Physics, 79 (9), 971-979. 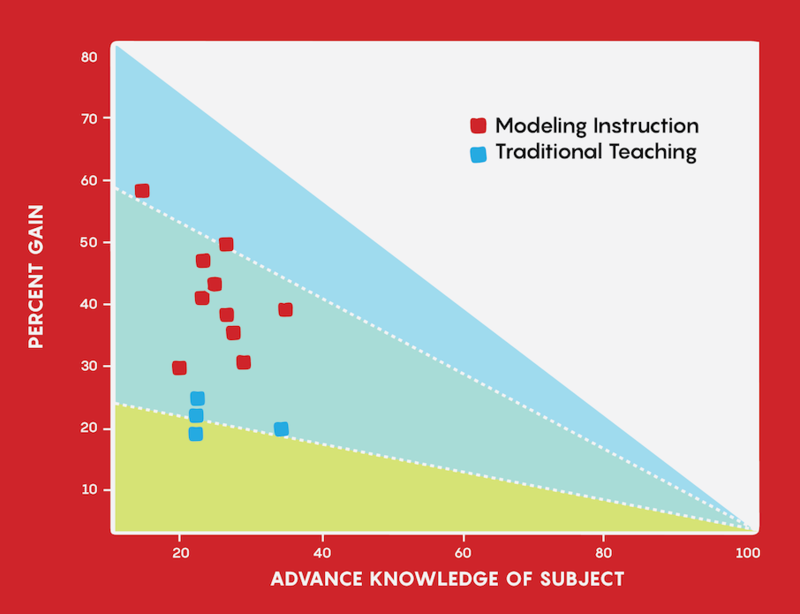 Since 2015, STEMteachersNYC has worked with AMTA fellow Colleen Megowan-Romanowicz on Computational Modeling Physics First (CMPF), a research program exploring how the learning of Bootstrap enhance teachers’ skills and identity as Computer Technology (CT) learners and as integrated CT/physics teachers. To learn more about this ongoing research click here. STEMteachersNYC is collaborating with teachers in the Montgomery Township (NJ) school district to create a cadre of K-3 elementary school teachers in the New York Metropolitan Area who are competent and confident teaching science. 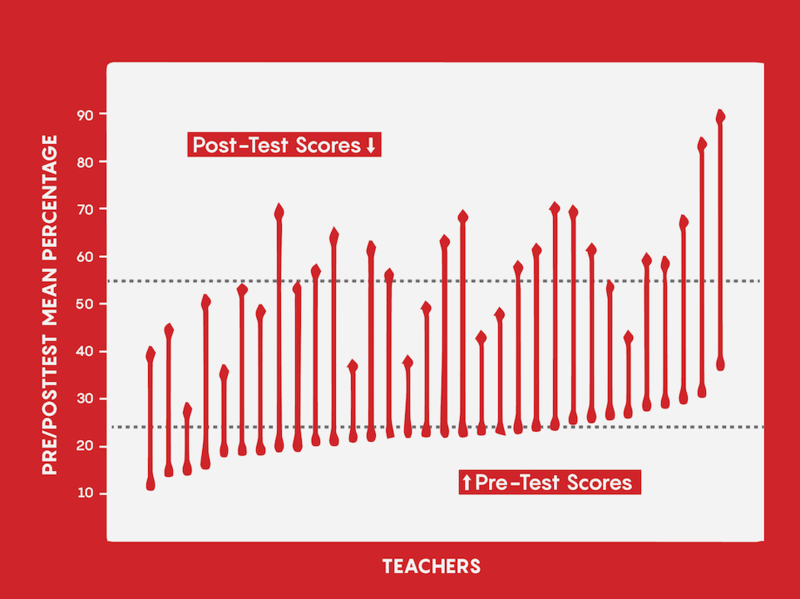 The program draws from the work of Hammer and Goldberg, which posits that, if elementary teachers bring the techniques they use to teach reading and writing to grade-appropriate science discussions, more science teaching and learning will happen in elementary classrooms. To learn more click here. 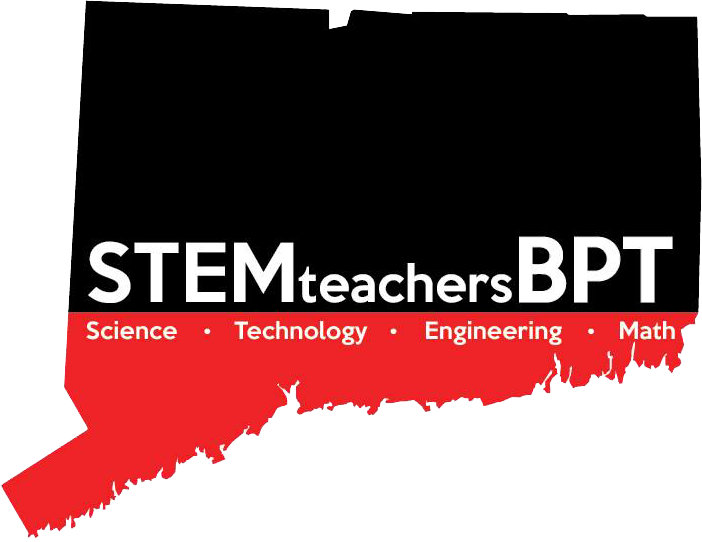 Since our launch, we have fostered development of and continue to guide sibling STEMteacher organizations in Phoenix AZ, Dallas TX, and Bridgeport CT. Contact us to learn more about setting up a Professional Learning Community in your area!